Staphefekt™, developed by Micreos, is the world’s first endolysin available for human use on intact skin. 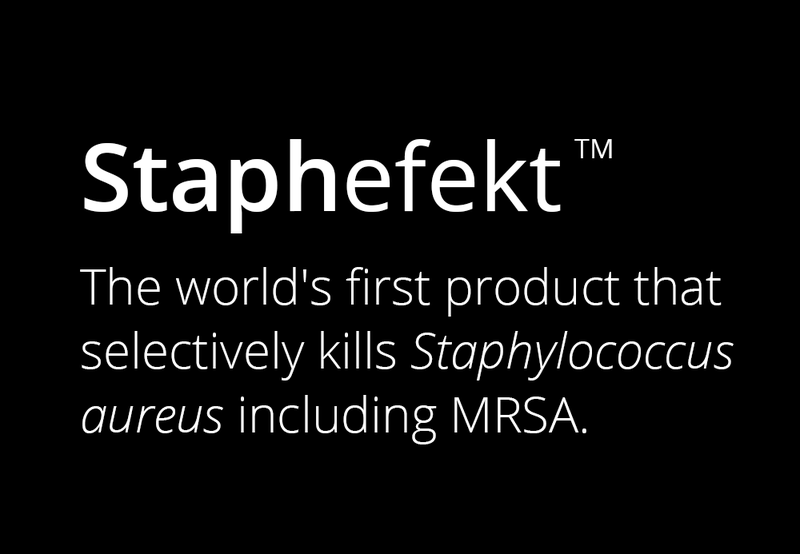 Staphefekt™ specifically targets Staphylococcus aureus, including strains that are resistant to antibiotics such as MRSA. Thanks to its bacterial specificity it leaves beneficial bacteria unharmed, which is especially important in case of longer term use. Staphefekt XDR.300 is an aseptic liquid solution. Micreos has also developed a series of creams and gels containing Staphefekt, for people with skin conditions with an infectious component, like acne, eczema, rosacea and skin irritation. These are available under the Gladskin brand. Endolysins are bacteria-killing enzymes that originate from bacteriophages (phages), the natural enemy of bacteria. Both have been around for billions of years. The Staphefekt endolysin exhibits two additional useful characteristics to combat bacterial infections: rapid killing of bacteria and very limited likelihood of emerging resistance. New strategies for the treatment of bacterial infections are needed, as resistance is emerging against established antibiotics. Antibacterial resistance kills nearly fifty thousand people per year across the EU and USA whilst inducing healthcare costs of nearly £14 billion (WHO Antimicrobial Resistance Global Report on Surveillance 2014). There is no other targeted treatment for bacterial infections. Antibiotics kill not only the unwanted bacteria but also the beneficial ones living on and inside our body, and their use can cause side effects and induce the development of resistance. 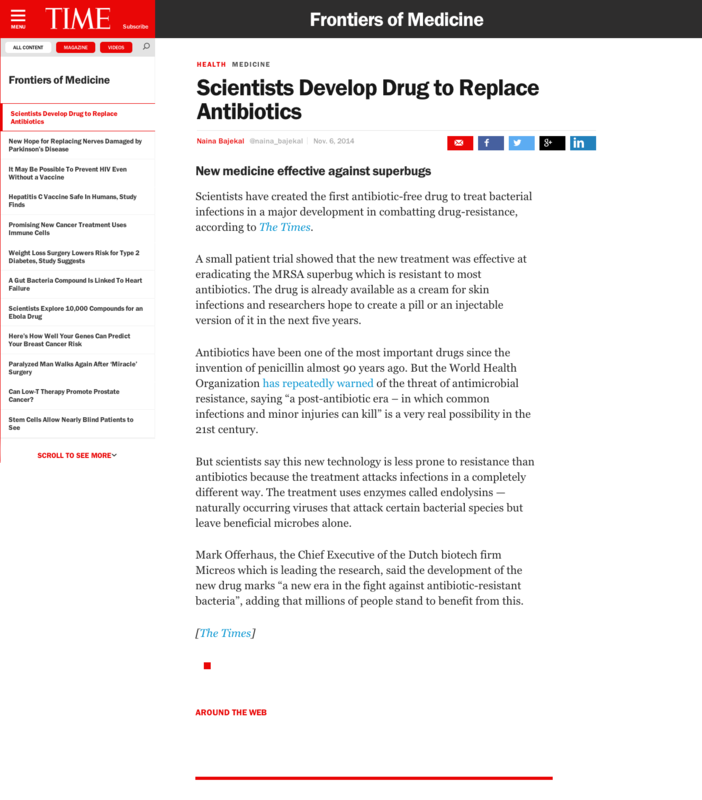 The Times, Nov 6, 2014Scientists create drug to replace antibiotics.